Are you looking for a new promotional or printable product to offer your customers? Blank aprons are an excellent accessory to have in your inventory. 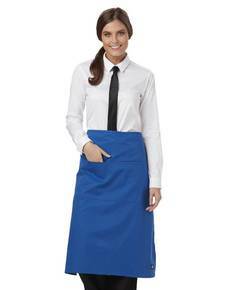 Here at ShirtSpace, blank aprons are available at great pricing and with fast shipping! 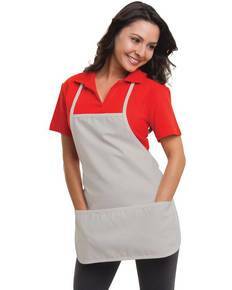 Blank aprons are always a smart choice to brand or promote with. From chefs to casual cooks, there is always a spot for a new apron in consumer’s kitchens. 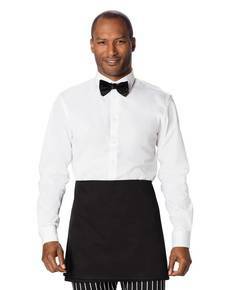 Pick up some blank aprons today from ShirtSpace and get them at wholesale pricing. We offer a great variety of lengths, styles and colors to suit your customer’s needs. 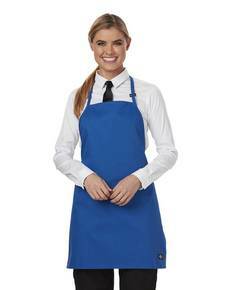 We sell blank wholesale aprons in a number of styles, fabrics and colors to get you started. Most of our aprons come with blended cotton/polyester. Big Accessories is one of our most popular apron brands. They make high quality blank aprons at affordable prices. Buy Big Accessories wholesale aprons by signing up for a membership today. Try two pocket or no pocket aprons in 24" 28" and 30" from Big Accessories. 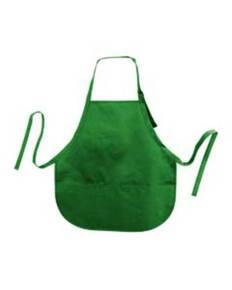 If you're looking for a 100% cotton canvas apron, try the natural color in any one of those aprons from Big Accessories. Big Accessories & KC caps also offer bistro aprons that hang just above the waist down. These are an excellent alternative apron option. 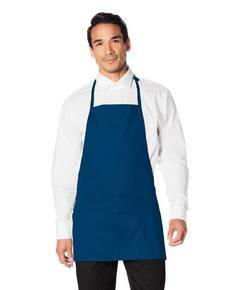 Both standard and bistro aprons will work well for printing or embroidering. Most aprons are a blended cotton/polyester material so remember to take that into account when printing on these products. 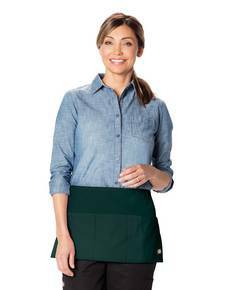 One of our favorites is the Big Accessories APR50 three pocket 10" waist apron. This is highly popular with our customers because it works perfect for servers, waitresses and hostesses. It is a great affordable option with many uses. This could also double as a woodworker’s apron or shop apron.